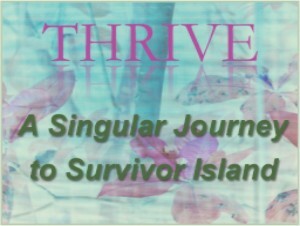 Join The Episcopal Actors' Guild for Thrive, a moving chronicle of a breast cancer survivor's health and personal challenges, as well as her victories. Based on "The Cancer Club" by Nuala Forsey, Thrive weaves together poetic pieces and memoirs that challenge our understanding and compassion for those touched by illness. Directed by Gretchen Cryer of I'm Getting My Act Together and Taking It on the Road. Lin-Manuel Miranda (center) and the Public Theater company of Hamilton. Photo: Joan Marcus. 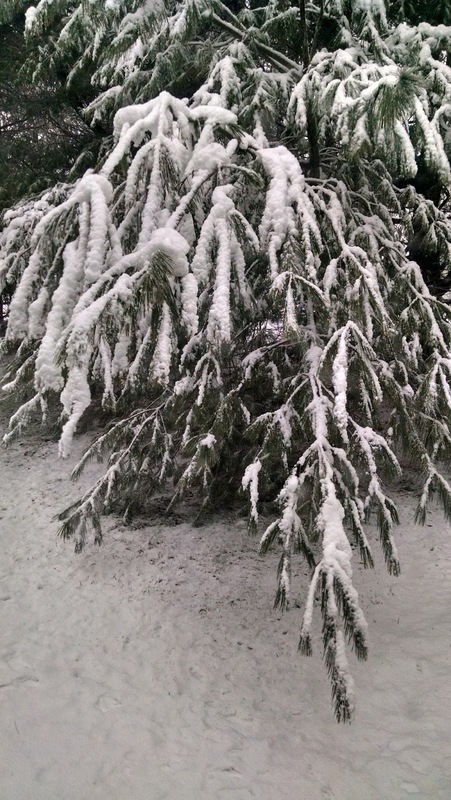 With a ban on travel in New York and suspension of public transportation by government authorities and additional safety precautions implemented due to severe weather, all Broadway matinee and evening performances on Saturday, Jan. 23 are cancelled. Normal operations are expected to resume for tomorrow’s Sunday matinees. 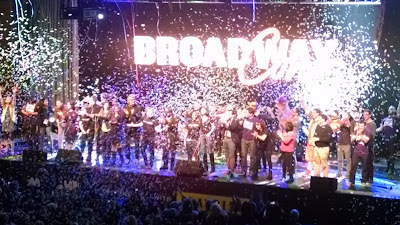 Additional information will be posted on BroadwayLeague.com as it becomes available. For information about refunds and exchanges, theatergoers should contact their point-of-purchase. 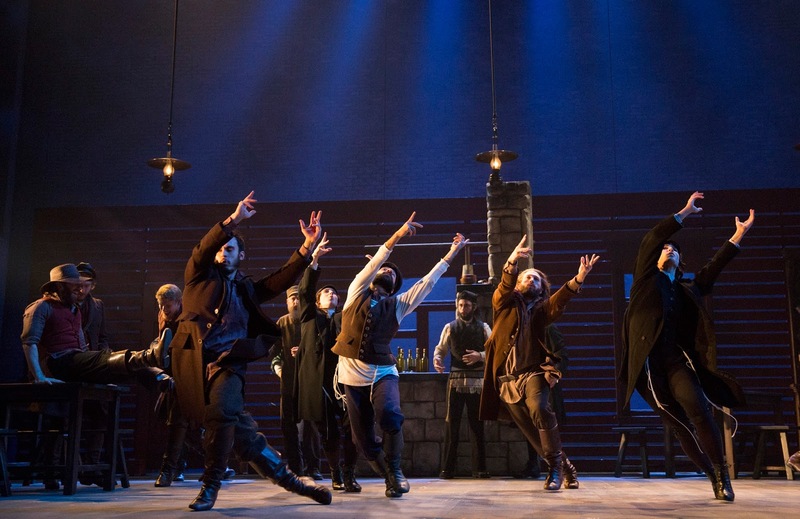 Fiddler on the Roof with music by Jerry Bock with lyrics by Sheldon Harnick and a book by Joseph Stein, based on the stories of Sholom Aleicheim, has been a part of theater tradition as long as I can remember. Lets face it every high school has done Fiddler and there have been three previous revivals in 1981, 1990, and as recently as 2004. So why do another revival now. What about this one makes is so special that people should pay $157 a ticket to see it. depth and passion to the story. “Tradition,” arguably one of the best opening numbers for a musical ever, is even more exciting and celebratory. The choreography is worth the price of the ticket. 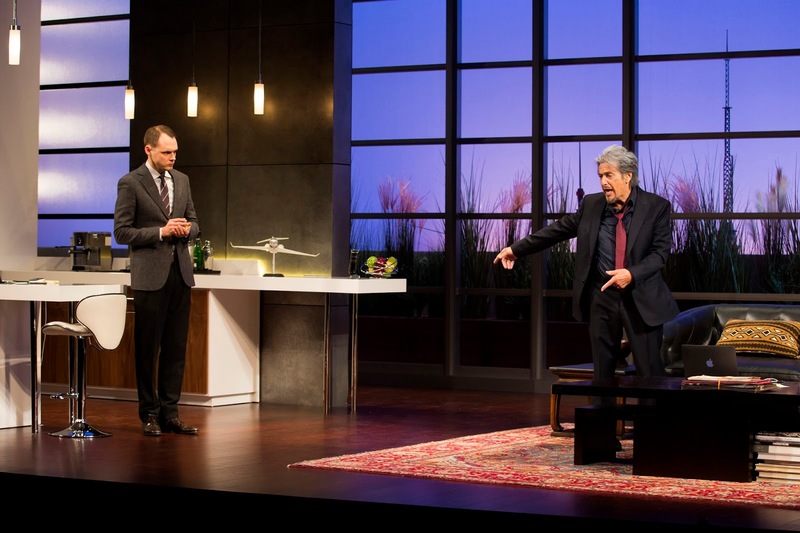 The rest of the production, directed by Bartlett Sher, is not as rewarding. Danny Burstein is a respectable Tevye, though he seems much happier than I expect. Jessica Hecht is more downtrodden and reflects the difficulty of her life. Others like Samantha Massell Hodel and Alix Korey Yente, whose comic delivery is off, seem miscast. A number of vocals are weak and don’t blend well and some miss cues to begin songs. Music Direction is by Ted Sperling. Sher has people moving around on stage with no apparent focus, He also has elected to introduce a confusing, modern prologue and epilogue to the story. There also is a floating fiddler. Scenic Designer Michael Yeargan suspends some rooftops too. These elements seem out of place. It’s always lovely to hear the score. It’s a real treat to watch this choreography. But somehow, I won’t be surprised if I enjoy the next traditional production I see a local high school just a bit more. Fiddler floats at the Broadway Theatre, 1681 Broadway, NYC through Sept. 4. Performances are Tuesday and Thursday at 7 pm; Wedesday, Friday, Saturday at 8 pm; Saturday at 2 pm; Sunday at 3 pm. Tickets are $35-$157: 800 432-7250; fiddlermusical.com. -- no content notes. If you haven't taken your kids to Fiddler yet, do. It's a story of family, faith and tradition. 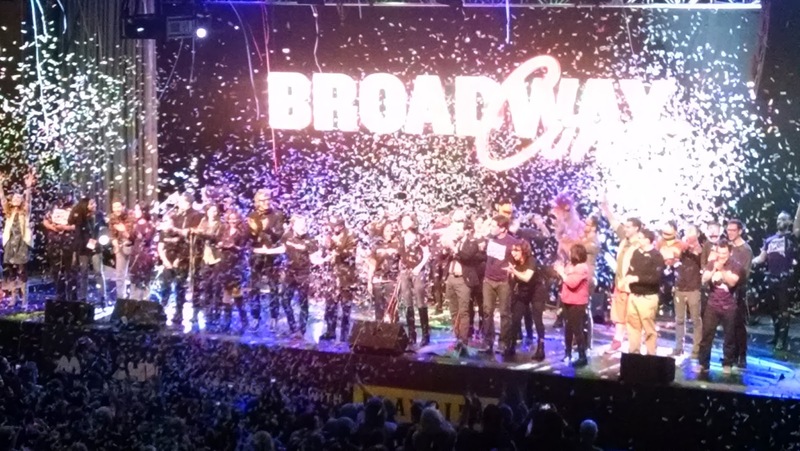 Follow me on Facebook for coverage of the first BroadwayCon. It's a revival of the 1982 play by Michael Frayn about backstage drama while a group of actors tries to put on a play called "Nothing On." 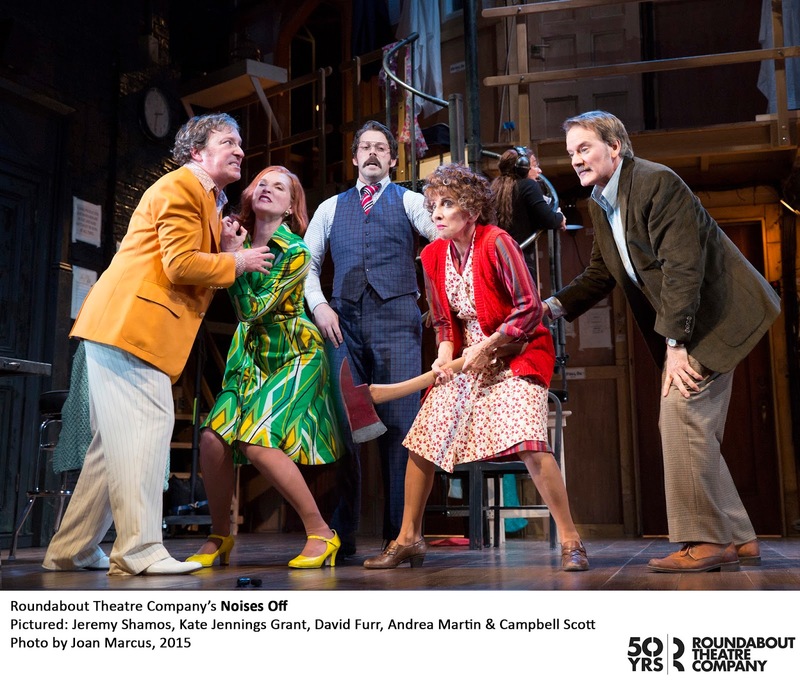 Andrea Martin (Pippin) stars as Dotty Otley, a middle-aged actress who has a lot of trouble remembering when she needs her props of sardines and newspapers. She makes her beau, Garry Lejeune (David Furr) jealous by pretending to be interested in Freddy (Jeremy Shamos), who gets a lot of nosebleeds. Meanwhile, untalented ingenue Brooke Ashton (a very funny Megan Hilty), who gets between the show's director, Lloyd (Dallas (Campbell Scott) and the assistant stage manager, Poppy Norton-Taylor (Tracee Chimo). Poppy's boss is overworked Tim Algood (Rob McClure), in a role that under utilizes the abilities of this Chaplin star). Rounding out the cast are Kate Jennings Grant as seasoned actress Belinda Blair and Daniel Davis (again a role that hardly taps the comic genius of the actor playing it) as Sheldon Mowbray, the veteran actor whose penchant for whiskey often causes him to mess up his entry cues. Martin has some fun moments and Scott is entertaining in his frustration. Hilty is a hoot as the clueless and talent-less Brooke who stiffly recites her lines as written regardless of the mayhem going on around her (though it is hard to understand her when she yells). Derek McLane nicely executes the set, which transforms form the set of the "Nothing On" play to the backstage area where mayhem ensues. This play always seems like it's stretching to me. It's a typical farces with lots of doors, repeated gags and physical humor, but it just never seems to get me rolling in the aisles. The plot is just too ridiculous. If you haven't already seen this Off-Broadway show, which has taken on new meaning since the unexpected death of David Bowie last week, you have a few more chances. It has been extended a final time with performances tonight ,Tuesday, Jan. 19 at 8 pm and Wednesday Jan. 20 , all at 8 pm. That final performance on Wednesday will benefit New York Theatre Workshop's artistic development and education programming. Tickets are $1,000 (includes one ticket to the final performance plus a VIP invitation for two to NYTW’s upcoming production of Red Speedo) and $2,500 (includes one ticket to the final performance plus access to an after-party celebrating the run and a VIP invitation for two to NYTW’s upcoming productions of Red Speedo and Hadestown). 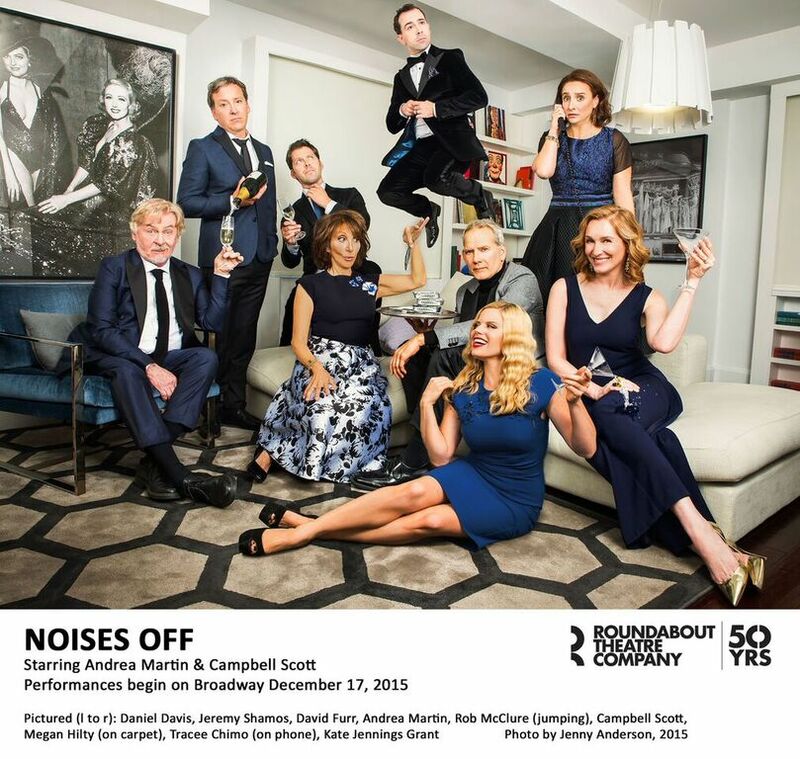 All tickets to the benefit performance include a tax-deductible contribution. It's directed by Ivo van Hove (who also directs Broadway's cutting edge View from the Bridge and The Crucible. 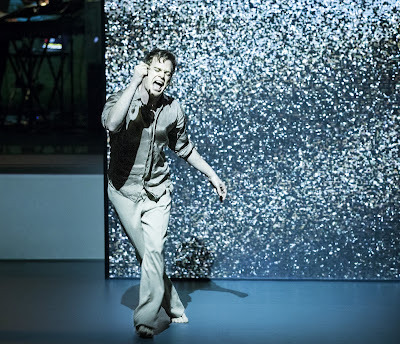 Six-time Emmy nominee Michael C. Hall (Hedwig and the Angry Inch, “Dexter”) stars as Thomas Newton, the alien who falls to earth. There is a lot of metaphor in there and thoughts and lyrics about death and dying, which makes the show so haunting in the face of its composer's death. Cristin Milioti (Once) is Elly,and Michael Esper (The Last Ship) is Valentine. Completing the ensemble are Krystina Alabado, Sophia Anne Caruso, Nicholas Christopher, Lynn Craig, Bobby Moreno, Krista Pioppi, Charlie Pollock and Brynn Williams. The production features scenic and lighting design by Jan Versweyveld; costume design by An D'Huys; video design by Tal Yarden; sound design by Brian Ronan; choreography by Annie-B Parson; music direction by Henry Hey. 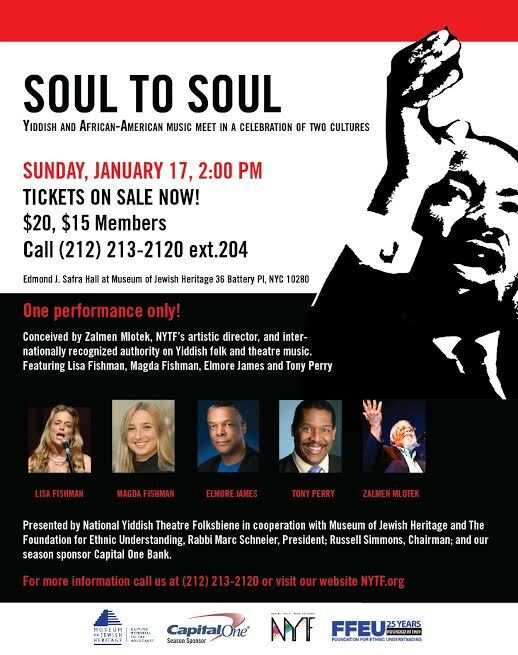 Soul to Soul, a theatrical concert, in commemoration of Martin Luther King, Jr. Day, explores the intersections between African-American and Yiddish folk music traditions. With music direction by NYTF Artistic Director Zalmen Mlotek and accompaniment by a four-piece Klezmer–Jazz band, SOUL TO SOUL features a cross-cultural cast including Golden Bride star, Israeli-born singer-songwriter, Lisa Fishman, renown cantor and trumpeter Magda Fishman, African-American international opera sensation Elmore James (Beauty and the Beast; Big River) and Tony Perry. The concert will be presented in English and Yiddish with English and Russian supertitles. Soul to Soul will take place 2 pm Jan. 17 in the Edmond J. Safra Theatre at the Museum of Jewish Heritage, 36 Battery Place, NYC, and is presented by National Yiddish Theatre Folksbiene in collaboration with the Museum of Jewish Heritage and The Foundation for Ethnic Understanding: Rabbi Marc Schneier, President; Russell Simmons, chairman. Tickets are $20 and $15 for MJH and NYTF members and can be purchased by calling (212) 213-2120 x204 or online here. It’s all about money and what it can buy. Only China Doll, the latest from Pulitzer-Prize winning playwright David Mamet (Glengarry Glen Ross, Speed the Plow), hasn’t made that theme even remotely interesting. Paying a lot of money to have a star headline the show hasn’t worked either. Academy-Award winner Al Pacino is on the boards, but even he can’t make two hours of listening to someone talk on a phone interesting. In fact, reports are that he has a lot of trouble remembering all the mind-numbing dialogue (film actors tend to deal with shorter segments of a script as they are being filmed and don’t have to memorize the entire script at once). The opening was pushed back, apparently to give him some more time and to make some improvements to the script. It didn’t work. Actual phones were abandoned for a Bluetooth prop, which apparently doubles as a speaker by which he is fed lines. There also are two laptops on display in the apartment set designed by Derek McLane (at first I thought the oddly appointed set was a VIP lounge in the airport since it doesn’t look like a Manhattan apartment of someone who can afford a $60 million plane.) Since Pacino seems to be looking at the monitors when fishing for lines, they probably are TelePrompTer devices. The day I attended, captioning was provided for the hearing impaired and a quick check of the screen confirmed that Pacino’s lines didn’t always match the script. Changing that script wouldn’t necessarily be a bad thing, however. . .
Pacino plays very wealthy Mickey Ross, who has just bought a new toy: a multi-million-dollar jet. He is used to buying whatever he wants – including politicians, it seems. He hits a snag when the plane, manufactured in Switzerland, is impounded in Toronto with his young British fiancé aboard. Somehow the Swiss tail numbers were changed to a US registration and when it was forced to touch down here for a technical issue, everything changed making Ross liable for $5 million in taxes. The rest of the play is a repeat of those facts – ad nauseum – as Mickey speaks on the phone with the plane’s manufacturer, his lawyer and his upset fiancé, who has been subjected to a strip search by immigration officials. Denham (“Master Harold”… and the Boys, Argo, “Manhattan”) impresses in that he manages to make us remember that he is on stage at all and is able to bring some plausibility when his character suddenly offers a twist to the plot requiring the services of Fight Director Thomas Schall. Well, to what little plot there is. We get a sense that the tax situation might be payback for some of Mickey’s corrupt political dealings, and there might be a message there about not always being able to control things with money, but we’re not really sure. 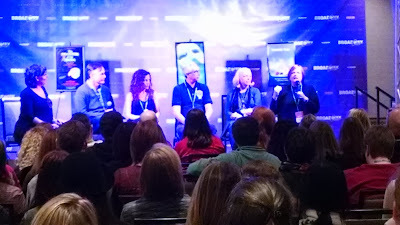 In fact, as we were leaving the theater, audience members who stuck it out were questioning each other about the purpose of the play. “Do you think there was some symbolism there we just didn’t get?” one woman asked her companion. No, ma’am, there wasn’t, as the playwright forgot to put it in there. In all honesty, however, I did not notice a mass exodus at intermission, as had been reported as a regular occurrence. I guess if your motivation to buy a $150 ticket is to see your favorite film star on stage, you want your money’s worth. If you want to see a sharply written play for two men written by a Pulitzer-Prize winner, however, go down the street and see Hughie by Eugene O’Neill opening next month. China Doll runs at the Gerald Schoenfeld Theatre, 236 W 45th St., NYC, through Jan. 31.Performances are Tuesday and Wednesday at 7 pm; Thursday - Saturday at 8 pm; Saturday at 2 pm; Sunday at 3 pm; Additional performance Jan. 17 at 7 pm. Tickets are $72 - $149.50: chinadollbroadway.com; 800- 432-7250. If you listen to some people, there really would be no reason to write a theater preview for the rest of the 2016 Broadway season. Isn’t Hamilton going to win everything anyway? Well, maybe. 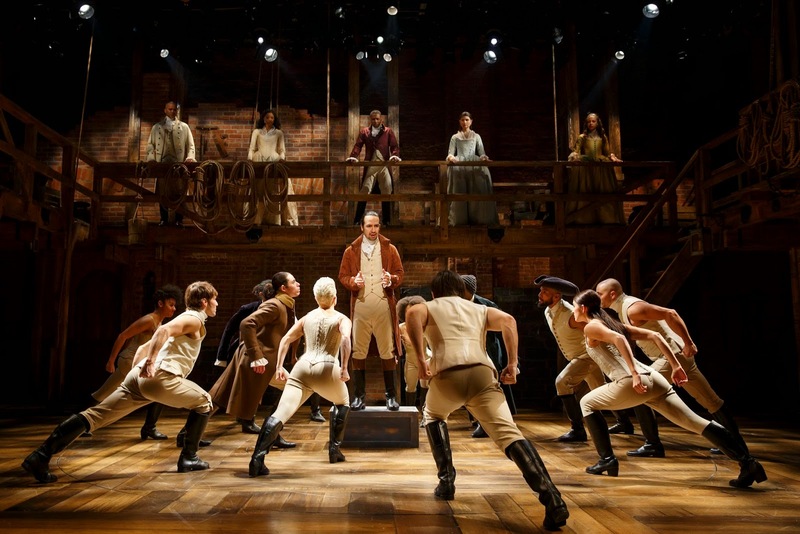 Most insiders know that when Tony time arrives next June, many -- if not all -- of the awards will be going to Lin-Manuel Miranda’s smash hit musical about Alexander Hamilton’s life and loves and other Founding Fathers, all played by a non-white cast. 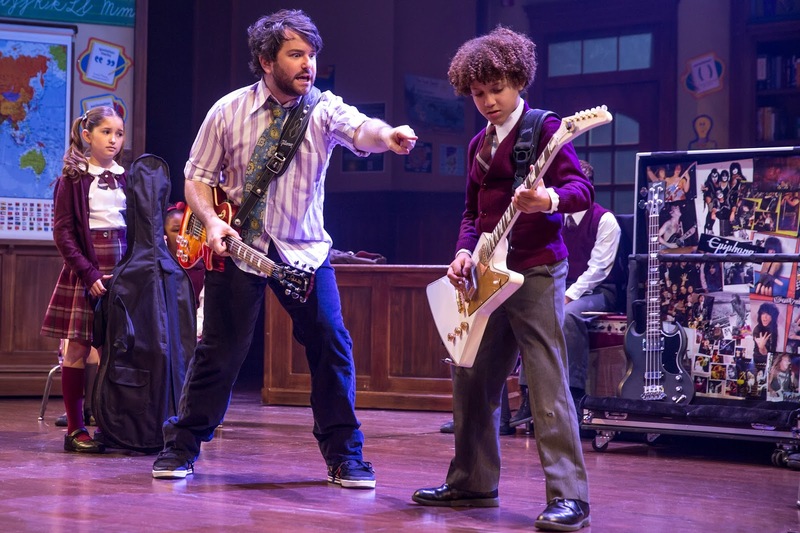 This is the kind of politically correct stuff Tony Award voters love – but it’s also a great, groundbreaking show. 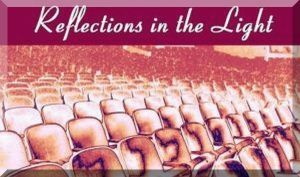 If you are an avid reader of my reviews here at Reflections in the Light, you heard about this show back when it was still Off-Broadway and ordered your tickets early (you are welcome -- read the review here.). Now, these hot-selling tickets are almost impossible to get with waits as long as six months or more for rear mezzanine seats (at pretty hefty prices). So while this undoubtedly will be the year of Hamilton where musicals are concerned, there still are a lot of other great shows on Broadway and coming up in the moths prior to Tony madness. Here are some tips for shows opening in the future (you also will be seeing reviews in the coming weeks for shows which have already opened). 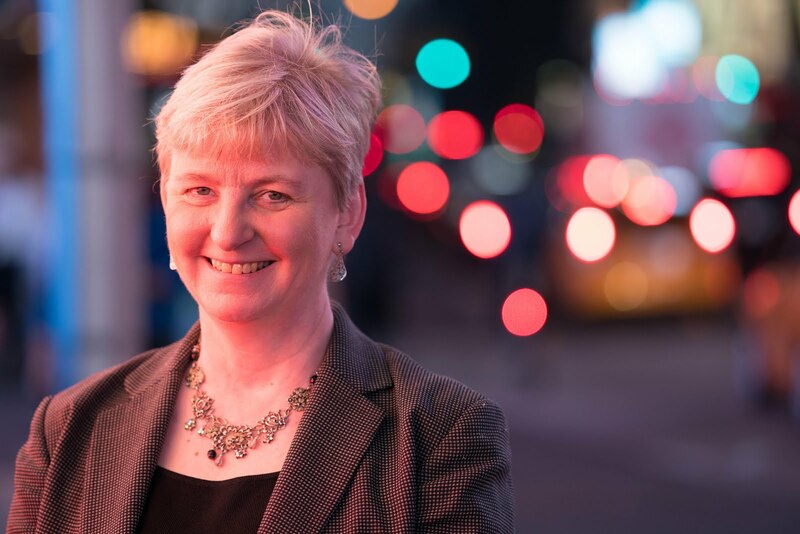 There is a little bit of everything on the schedule and quite a few shows to which I am particularly looking forward, both on and Off Broadway, this season. She Loves Me. You might recognize the story here form one of its other incarnations: the films “The Shop Around the Corner,” “The Good Old Summertime” or “You’ve Got Mail.” This Jerry Bock/ Sheldon Harnick musical also is a Roundabout production. It stars Laura Benanti (Zachary Levi, and featuring Jane Krakowski, René Auberjonois and Gavin Creel. Also are in the cast. Tickets and info: roundabouttheatre.org. Fully Committed. Jesse Tyler Ferguson (TV’s “Modern Family” plays 40 characters connected by a restaurant reservation line in a solo comedy written by Becky Mode. Tickets and info: fullycommittedbroadway.com. Long Day’s Journey Into Night. This Pulitzer-Prize winner by Eugene O’Neill is one of my favorite plays of all time. It’s perfect. End of review. The question for it always concerns the production (and in my opinion, the last Broadway revival with Brian Dennehy, Vanessa Redgrave and Philip Seymour Hoffman back in 2003 was near perfection). 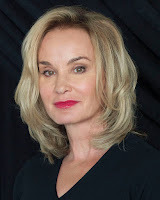 This revival (also, remarkably, a Roundabout Theatre production – become a subscriber today…) will star Jessica Lange as Mary and Gabriel Byrne, Michael Shannon and John Gallagher, Jr. as the rest of the troubled Tyrones. Tickets and info: roundabouttheatre.org. Hughie. Another O’Neill play will give Academy Award winner Forest Whitaker “The Last King of Scotland”) his Broadway debut. Famed director Michael Grandage is on board. Tickets and info: hughiebroadway.com. The Crucible. One of many plays being presented on stages across the country as part of the celebration of Arthur Miller’s 100th birthday, this is one of my favorites by this playwright. Set during the Salem witch trials in the 17th century, this play has modern-day implications about singling out people for persecution. Risk-taker Ivo van Hove directs. thecrucibleonbroadway.com. Eclipsed. This tale of women surviving the horrors of war in Liberia makes a transfer from Off-Broadway at the Public Theater. Written by Danai Gurirai (TV’s “The Walking Dead”), it was produced several seasons ago by Yale Rep. 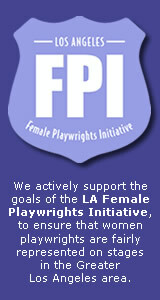 It is making history with its all female creative team and all female black cast. Tickets and info: eclipsedbroadway.com. American Psycho. 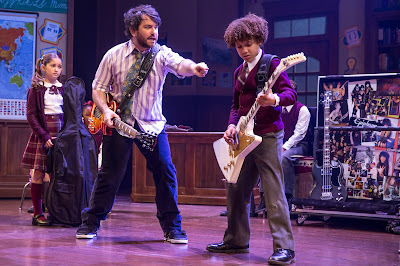 With music and lyrics by Duncan Sheik (Spring Awakening) this rock musical version of the popular film about an investment banker with a split personality reunited Next to Normal stars Alice Ripley and Jennifer Damiano along with Benjamin Walker and Elaine York. Shuffle Along or The Making of the Musical Sensation of 1921 and All That Followed. It’s a mouthful, but when you see who’s in it, you will want to see it. Six-time Tony Award winner Audra McDonald is joined by Brian Stokes Mitchell, Billy Porter, Brandon Victor Dixon and Joshua Henry. Now that is a big helping of heavy singing talent. I am there. 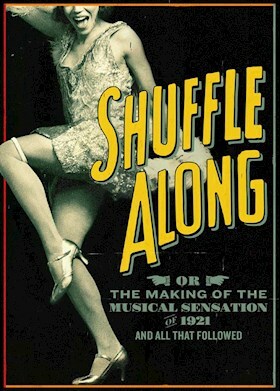 Tickets and info: shufflealongbroadway.com. The Robber Bridegroom. I am super excited about this revival (and give the award for most picks for 2016 to Roundabout) with square-dance music (Robert Waldman) with a book by Alfred Uhry (Driving Miss Daisy). I saw this on Broadway back in 1976 and have never seen it again, though I have been listening to the soundtrack ever since. Despite the fact that I saw the show only once 40 years ago, I still remember many scenes vividly. That’s more than I can say about some shows I saw last week….. Even more exciting? Genius Alex Timbers directs and Steven Pasquale, the popular TV star (“Rescue Me”) whose singing voice impressed me in The Bridges of Madison County and Far from Heaven stars as Jamie Lockhart, the Robber Bridegroom. Tickets and info: roundabouttheatre.org. 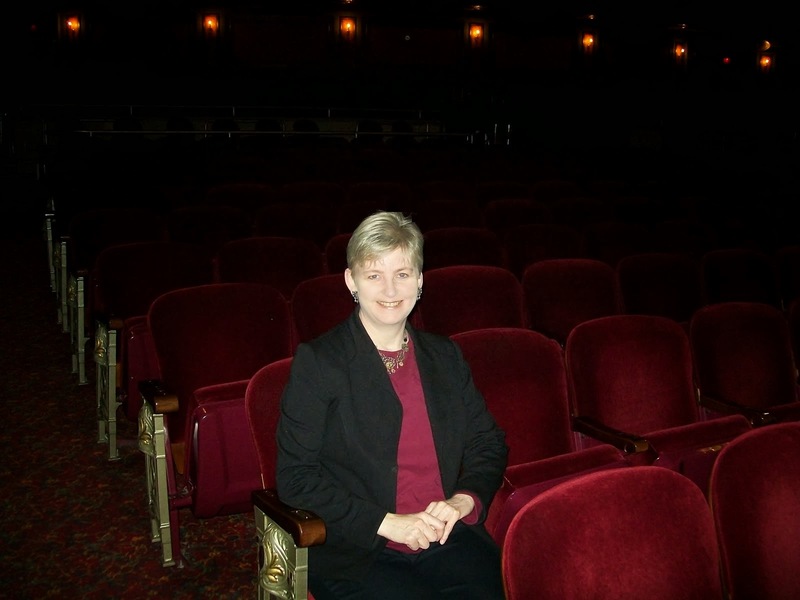 Lauren Yarger is Second Vice President of The Drama Desk, a member of The Outer Critics Circle and reviews Broadway, Off-Broadway and Connecticut theater. TheWritePros.com.